Now if you are quick on reading my posts you may have already seen my review on this a good few months ago but due to a problem with photobucket the pictures broke on the post so I had to delete it. 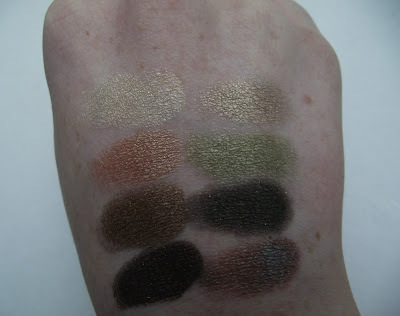 I've decided to re-do this post as I really do love this palette! Unfortunately this is a palette that isn't available in the UK but I would encourage you all to do a USA/Canada swap like I did but if not I found that nelly.com do sell Wet 'n' Wild products and this palette is £5.95 on there here. However the delivery cost is £4.95 which is expensive! So if you do want to buy from there I'd suggest making an order worth the heavy price. Although I think a swap is the better option, its fun and you make a new international friend! The colours in this palette are unbelievably pigmented! Sorry for the not so amazing lighting but all the colours are basically showing up as what they are. Other than the bottom right which is a kind of duo-chrome shade that is a gorgeous blue in some lights. 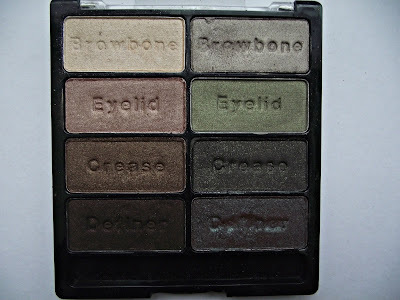 I like that this palette comes with everything you need for a neutral eye but also for a smokey green eye. You can mix and match as well, you don't have to stick to the guidelines such as 'crease' and 'browbone.' 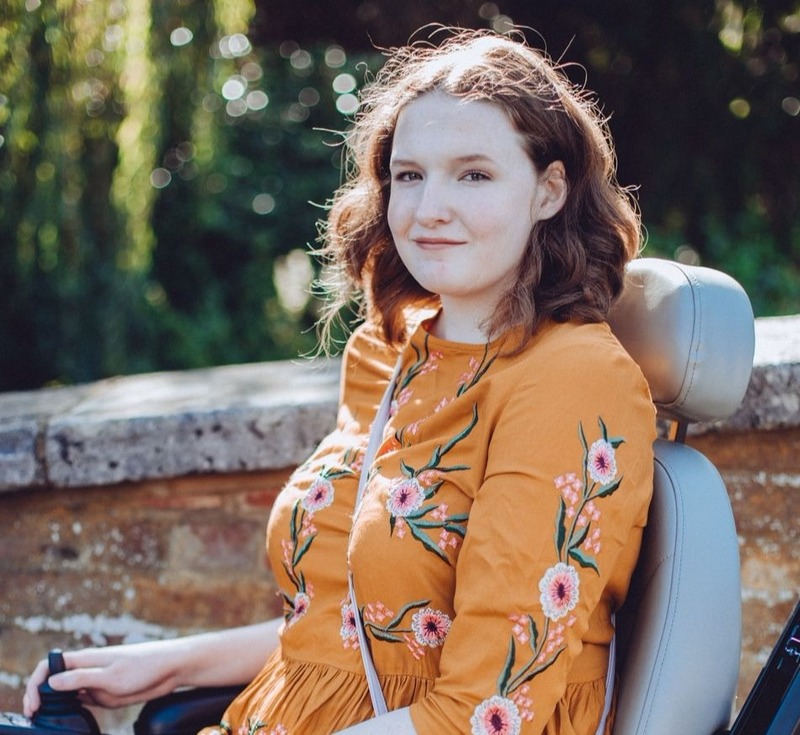 I think its a great idea to have the words in the product as its great for beginners but you don't necessarily have to stick to that order, I don't! This shadows last all day on me with a primer (E.L.F eyelid primer) and doesn't crease at all. 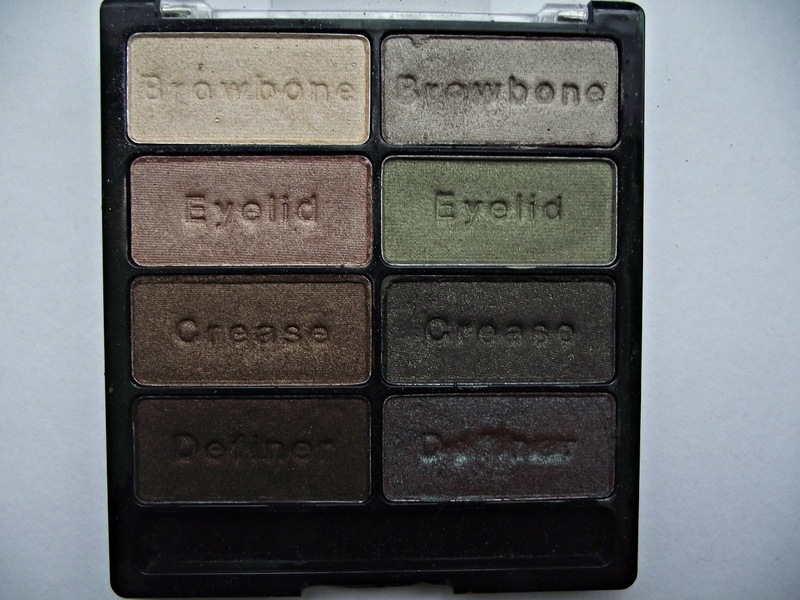 There is a little bit of fallout when you apply these eyeshadow's so I'd do your base/face after your eyes. I usually do this anyway though as I sometimes get mascara on my face! I can't wait to show you some EOTDs' featuring this palette ranging from a smokey eye to a soft green look. Do you want this palette sitting amongst your collection? I'm really looking forward to seeing the looks you create with this palette! I probably wouldn't stick with their recommendations but it looks like a great mix of colours. What do you mean? Who's recommendations? 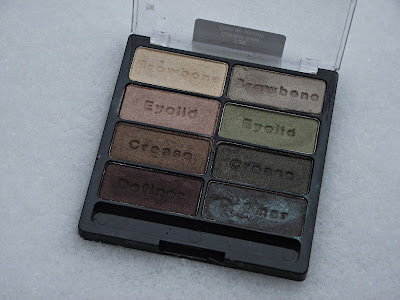 What beautiful shades in this palette - they're the perfect mix of neutral tones and are seriously up my street!